1. How to Enter. To enter the “The Vince Flynn.com Memorial Day Giveaway” (“Sweepstakes”), visit www.vinceflynn.com/memorial-day-giveaway-1, (the “Site”), and complete the required fields on the online registration form (including email address, etc.). The Sweepstakes, as defined below, ten (10) winners will be selected based on all nominations from all eligible entries received. Entrants must have a valid email address. Limit one (1) Sweepstakes entry per person. No automated entry devices and/or programs permitted. All entries become the sole and exclusive property of the Sponsor and receipt of entries will not be acknowledged or returned. Sponsor is not responsible for lost, late, illegible, stolen, incomplete, invalid, unintelligible, misdirected, technically corrupted or garbled entries, which will be disqualified, or for problems of any kind whether mechanical, human or electronic. Only fully completed entry forms are eligible. Proof of submission will not be deemed to be proof of receipt by Sponsor. Providing an entry constitutes entrant’s consent to give Sponsor a royalty-free, irrevocable, perpetual, non-exclusive license to use, reproduce, modify, publish, create derivative works from, and display such entry in whole or in part, on a worldwide basis, and to incorporate it into other works, in any form, media or technology now known or later developed, including but not limited to on any and all Internet media, including Sponsor’s web sites and properties and on social networking sites (i.e., Facebook, YouTube, Twitter etc. ), for any legal purpose whatsoever. 2. Start/End Dates. The Sweepstakes begins at 12:00:00 AM Eastern Time (“ET”) on May 20, 2018 and ends at 11:59:59 PM Eastern Time (“ET”) on May 27, 2018 (“Sweepstakes Period”). 3. Eligibility. 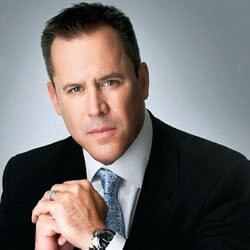 Employees, officers and directors of VinceFlynn.com (“Sponsor”) and their respective parent companies, subsidiaries, affiliates, partners, advertising and promotion agencies, manufacturers or distributors of sweepstakes materials and their immediate families (parents, children, siblings, spouse) or members of the same household (whether related or not) of such employees/officers/directors are not eligible to enter. 4. Selection/Odds. Ten (10) winners will be selected based on receiving the most nominations from all eligible entries received on or about five (5) business days at the end of the Sweepstakes. Odds of winning depend on the number of eligible entries received during the Sweepstakes. Selection will be conducted by Behind the Screens Designs. Sponsor’s decisions are final and binding in all matters relating to this Sweepstakes, including, but not limited to, interpretation and application of these Official Rules. By entering the Sweepstakes, entrants fully and unconditionally agree to be bound by these rules and the decisions of the judges, which will be final and binding in all matters relating to the Sweepstakes. 5. Prizes. The Winner will receive a paperback edition of Memorial Day. No substitutions or cash redemptions. In the case of unavailability of any prize, Sponsor reserves the right to substitute a prize of equal or greater value. All taxes and unspecified expenses are the responsibility of winner. 6. Notification. Potential winner will be notified by email and may be required to sign and return, where legal, an Affidavit/Declaration of Eligibility and Liability/Publicity Release (“Affidavit/Release”) within five (5) business days of selection. If potential winner is considered a minor in his/her jurisdiction of residence, Affidavit/Release must be signed by his/her parent or legal guardian and such prize will be delivered to minor’s parent/legal guardian and awarded in the name of parent/legal guardian. If a potential winner cannot be contacted within five (5) calendar days of first notification attempt, if any prize or prize notification is returned as undeliverable, if any potential winner rejects his/her prize or in the event of noncompliance with these Sweepstakes rules and requirements, such prize will be forfeited and an alternate winner will be selected from all remaining eligible entries (time permitting). Upon prize forfeiture, no compensation will be given.